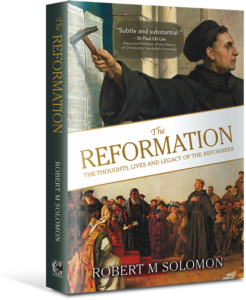 In the October 2017 issue of Methodist Message, we asked: “What impact and significance could a movement that happened 500 years ago have on us today?” Among several articles, books, and talks that attempted to answer this question, a resounding response was given by Bishop Emeritus Dr Robert Solomon at his four-hour talk, ‘The Bible and the Reformation: Lessons for Today’, on 28 Oct 2017 at the Bible House (see pic below). 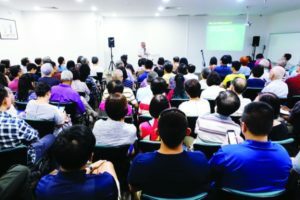 It was over-subscribed and the venue was packed to standing-room-only. In his signature articulate and concise way, Bishop Emeritus Dr Solomon took the participants through the historical, theological, economic, cultural, technological, and socio-political events that led to and ensured the promulgation of the Protestant Reformation in the 15th century. He also explained how the various denominations came about, and gave insightful warnings on current church trends. In candid style, he peeled back the layers to reveal insightful truths and lessons. The lecture started by painting the broad background of the state of thinking at the time of the Reformation. Two hundred years before Martin Luther, the English theologian John Wycliffe had already encouraged a high view of Scripture; as far back as the 12th century, Peter Waldo, a spiritual leader in the Middle Ages, had expressed the same views, and was severely persecuted for it. The writings of Hus and these others greatly influenced Luther, and laid the reformation egg that Luther later hatched. This was combined with a confluence of several situational factors. Firstly, there were many things wrong with the Church at the time, with clerical and ecclesiastical abuse such as simony (the buying and selling of a spiritual office, act, or privilege, such as pardons) and incompetence. The Holy Roman Empire of the time was also facing a decline brought about by years of war. In fact, the Empire was not an empire, it was not in Rome, nor was it entirely holy. An epidemic of the bubonic plague was killing one-third of the population, and made the focus on death very real; the church was focused on helping people to ‘die well’. Lastly, there was also a cultural Renaissance, fuelled by the import of Greek manuscripts by the Crusaders, and the desire to emulate the greatness of the ancient Greek arts. In these manuscripts, scholars such as Erasmus discovered, for example, that the teaching on purgatory was not found in the original Greek writings. Luther was a law student in Erfurt before a life-changing event led him to become an Augustinian monk. Thereafter, he would famously paste his 95 Theses for debate on the door of the Castle Church in Wittenburg on the eve of All Saints’ Day. That is why we now commemorate Reformation Day on 31 Oct each year. Among the points Luther put up for discussion were the sale of indulgences to waive time spent in purgatory for those who have died. It was taught then that Christians would get to heaven by our good deeds, but we could never do enough, so there was a place where Christians had to go to purge the remainder of their sins, called purgatory. At that time, Pope Leo X wanted to build a new Basilica in Rome and needed to raise funds. 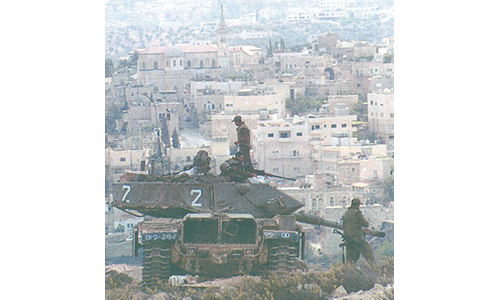 There was also a need to absolve Crusader soldiers from the sin of killing. Indulgences were thus sold to Christians as a form of ‘get out of jail’ coupon; these could be bought in advance for oneself, or transferred to another person. The timing of the 95 Theses meant that many people would see it the next day, being All Saints’ Day where many could go to the Castle Church for Mass. It caused a stir among the people, and a new technology helped the news ‘go viral’ – the Gutenberg Printing Press. This invention allowed a German vernacular translation of the 95 Theses to be accurately and quickly reproduced and disseminated; it spread throughout Germany within a fortnight. As the news spread like wildfire, word reached the Pope who summoned Luther to Rome for questioning. However, Luther had a patron and protector in the form of Frederick the Wise, who was one of seven Electors of the Holy Roman Emperor. The Elector persuaded the Pope to have a debate in Leipzig, where John Eck faced Luther; this was attended by many scholars, who were impressed with Luther. Although the debate resulted in a tie, Luther was excommunicated from the Church. On his way back from the Diet, Luther was ‘kidnapped’ by Frederick the Wise to prevent his assassination. He was taken to Wartburg Castle in disguise for safety, where he lived for a time and translated the Bible into German (top pic shows the room and desk where he did this). This translation was so influential that much of the German language used today takes reference from it, akin to how famous phrases in William Tyndall’s English translation were used in the King James’ Version, and has influenced the English language today. With the support of the people and the protection of Frederick the Wise, Luther continued to promulgate his teachings. He and his contemporaries such as Ulrich Zwingli and John Calvin continued to preach and encourage Christians to refer to the Bible as the authority to measure all teachings against. It was also at this time that various other teachings developed, such as those of the Anabaptists and Mennonites. From these thoughts, theologians describe the ‘Five Solas’: Sola Scriptura, Sola Fide, Sola Gracia, Sola Christus, and Soli Deo Gloria (through Scripture alone, through faith alone, through grace alone, through Christ alone, and Glory only to God). It was essentially a ‘Back to Jesus’ movement. Emphasising the primacy of Scripture “dethroned the Pope and enthroned the Bible”, commented historian Roland H. Bainton; education was essential for this so that the people could read the Bible in their own vernacular, and schools were set up. That being said, there is an important role for the Church to clarify what the Bible has said, and synergise the Bible with daily life. And at the mercy of the Rabble lay. This means that if left to each individual to interpret Scripture, it becomes a dangerous divisor as it can be easily read out of context and abused. In practice, this has led to the various denominations, as each group has chosen to see Scripture in a slightly different light; some say that in practice, this has meant that we have lost the authority of Scripture. The Reformers came up with four guidelines: Illumination of the Holy Spirit, Guidance from the Church Fathers (tradition), Catechisms (doctrines), and Discussions and Debates. The Wesleyan Quadrilateral of the Methodist Church more simply names Scripture, Tradition, Reason and Experience. Bishop Emeritus Dr Solomon also warned of traditionalism raising tradition into a religion, the dead faith of the living, whilst tradition itself is the living faith of the dead and something we can use to stand on the shoulders of spiritual giants. To abandon tradition outright is folly; we need to be able to discern the good with the help of the Holy Spirit. We need to be wise and continually reference Scripture in matters such as the sacraments and our dogma, doctrine, and discourse. In a way, the church is continually in a state of reformation, being refined by the Refiner’s fire. We must guard against teachings that take only part of the truth, or go against it. 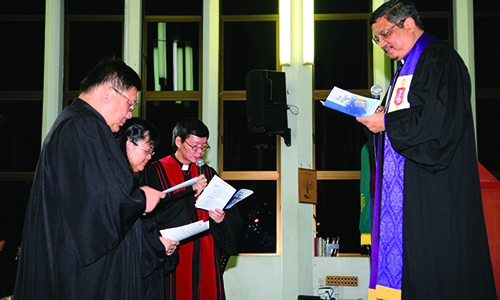 is Chairperson of the Council on Communications, and a member of Bedok Methodist Church. 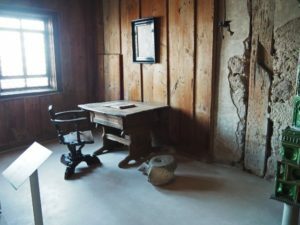 He had the privilege of visiting the Reformation-related sites mentioned, and contributed photos of them for this article. He and his wife, Hui Ling, conduct Marriage Enrichment and Preparation Courses, and enjoy ballroom dancing. Special Promotion for all Methodist Message Readers! Get 20% discount on this book at the Armour Publishing web store – simply key in the promo code REFORMATION20 at the checkout page, valid only from 1-31 Jan 2018.